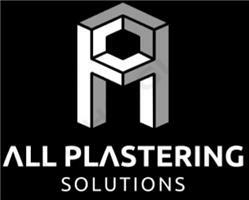 All Plastering Solutions - Damp Proofer, Plasterer based in Matson, Gloucestershire. All Plastering Solutions is a plastering company based in Gloucestershire. We specialise in all types of plaster works, you can be assured that we deliver high standards every time. Over the years, we have developed a reputation for their high standard of work. We promote best practice in all that we do and remain up-to-date with the latest techniques and materials. Before we undertake any job we work with the customer to gain a good understanding of what they need, ensuring that we always meet or exceed, their requirements. We apply our excellent workmanship to jobs of all sizes for commercial and domestic customers and will leave your business or home clean, tidy, and with a new lease of life.